How do I put mp3 on ipod without iTunes ? Does anyone have some good suggestions? 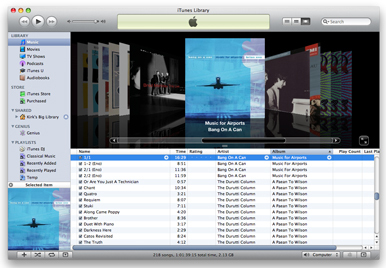 iPod is an innovative device to store and play audio files encoded by MP3 or AAC, while iTunes is the default tool to manage MP3 files in iTunes Library on computer and copy MP3 songs from computer to iPod. However, iTunes is bulky, especiall users who have used it to manage thousands of songs and videos. When you use it to copy MP3 songs to your iPod, it might take you a few minutes. The good news is that, besides iTunes, there are a bunch of tools available for you to copy MP3 songs to iPod. Below, I'm going to tell you how to copy MP3 songs to iPod with and without iTunes. You're supposed to notice the issue while transfer MP3 songs from iTunes to your iPod: the syncing might erase all existing files on your iPod if the existing files were not the ones transferred from your iTunes Library on your computer. That's the problem people who use different computers to do the transferring could encounter. To solve the problem, the only option is stoping using iTunes, but iMusic or other this kind of tool, because the tool never erase any content on your iPod. Note: This product currently is compatible with MacOS Sierra, Mac OS X 10.11 El Capitan, 10.10 Yosemite, 10.9 Mavericks, 10.8, 10.7 and 10.6, Windows 10, Vista, 7, XP and more. After you install the program on your Mac, connect your iPod to Mac with a USB cable. 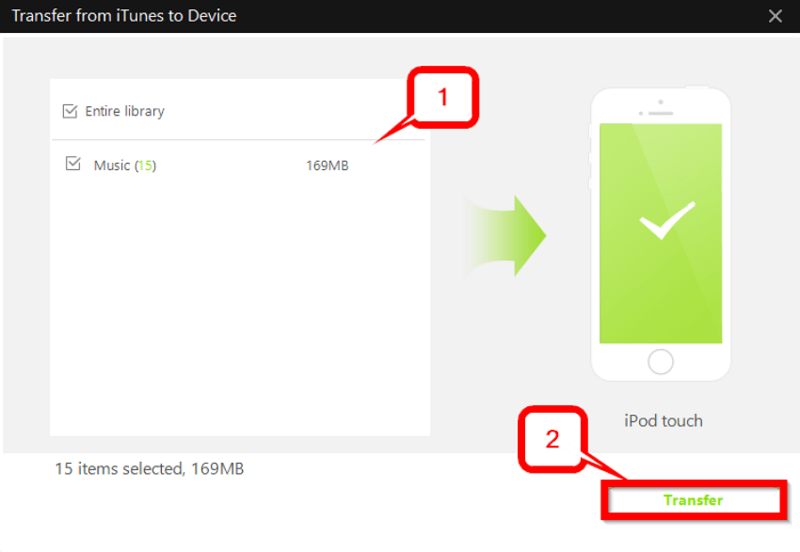 This smart program can detect your device and show your iPod information as the below image. Now you can click DEVICE in the main window. Click the "music" icon to show the music on your iPod. Then click the Add icon "+" on the right to choose the songs you hope to transfer from your computer. Click on the "Open" to start transferring. After the transferring, you can enjoy the MP3 files with your iPod on the go. That's it ! So easy to put mp3 on ipod without itunes right? This brilliant mp3 to ipod transfer tool also could help you to manage all of your music on iTunes automatically and manually. MediaMonkey is a third-party free media player to play MP3 and other audio files on your Windows and Linux computer. 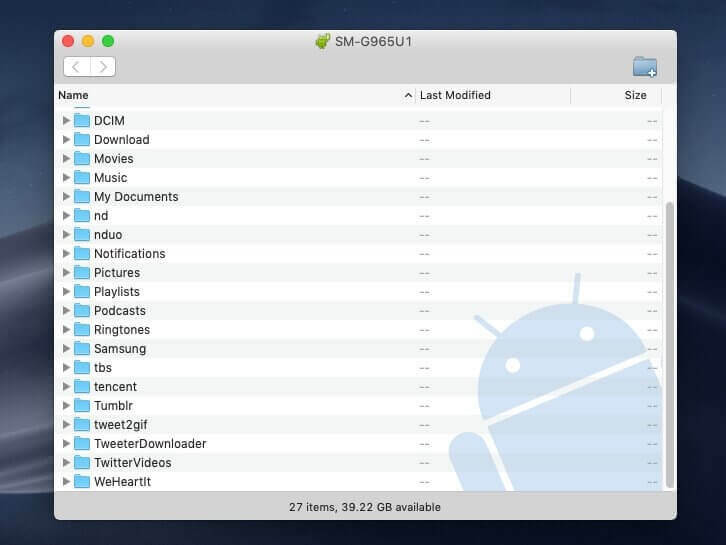 It can also easily transfer MP3 to iPod by going through Tools > Sync Devices. Besides iPod, iPhone, iPad, Android devices and others MP3 player devices are also supported. This article is originally written to transfer MP3 to iPod without iTunes. Ironically, you need to install iTunes because iTunes comes with the device driver for iPod that is required to detect and access the database of the iPod. Any way, it's a new way to transfer MP3 to iPod on Windows other than Mac-specific software - iTunes. Step 1: Run iTunes and connect your iPod to computer with USB cable. iTunes has been pre-installed on Mac. If you're using Windows PC, you're supposed to download it from Apple official site first. Step 2: Set up your iPod. 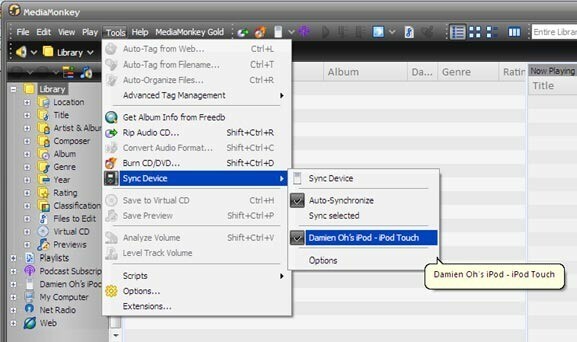 By default, your iPod will automatically sync with your iTunes library. To change this, go to iTunes preferences > click "Devices" > check "Prevent iPods, iPhones, and iPads from syncing automatically". 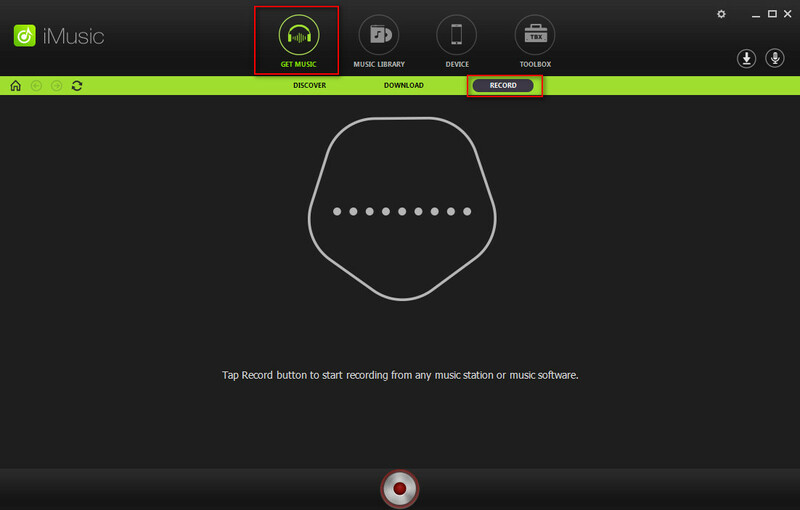 Step 3: Add your MP3 to the iTunes library if they are not there. You can also rip CD to iTunes and transfer MP3 to iPod to play anywhere as well. 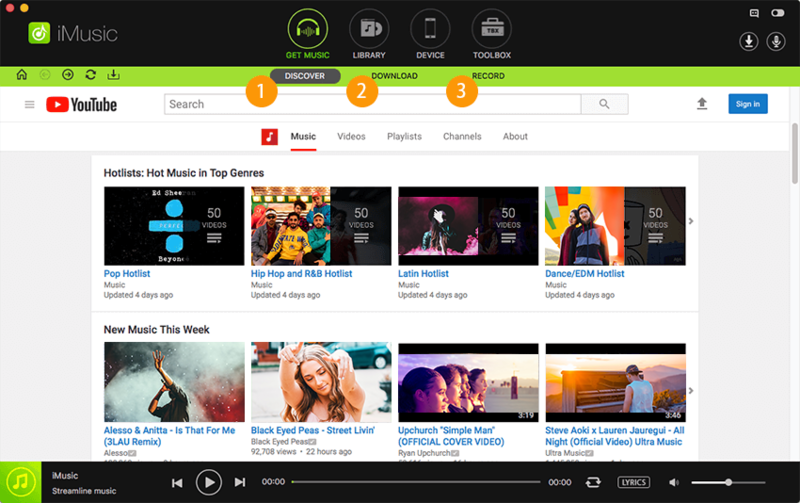 Step 5: Click the Music tab, and make sure your playlist is ticked under the Selected playlists. Step 6: Click Sync and Apply. iTunes is free to transfer MP3 to iPod. To make it work, please always ensure that you have installed the latest version. 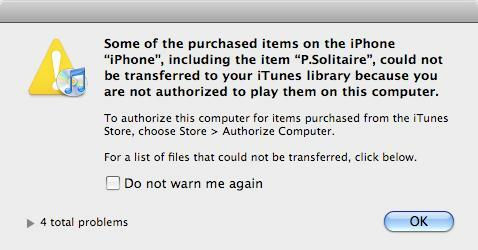 When you transfer MP3 to iPod, you might encounter some common iTunes syncing errors listed below. 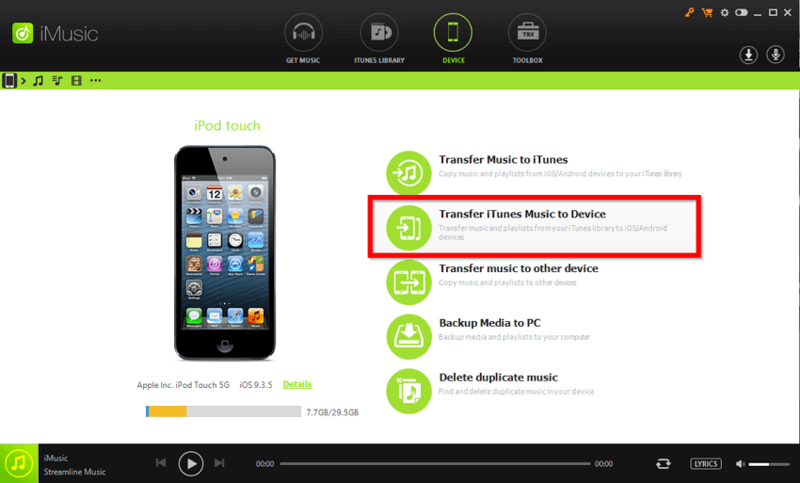 If it really happens, then try to transfer MP3 files to iPod without iTunes, which are mentioned below. Only can sync iPod with one iTunes library. Non-purchase songs can not be found and synced with iTunes. Erasing and syncing will replce the contents of your iPod.